The film follows Carol Aird (Cate Blanchett), whose marriage is in the process of imploding when she meets charming shop assistant Therese (Rooney Mara) in a Department Store. They both sense a connection which slowly builds as they meet for lunch and then Carol invites Therese to spend the day with her in her country house. As they slowly inch their way towards love and a fulfilment that both were looking for (even if they didn’t necessarily expect to find it in the other), Carol’s husband, Harge (Kyle Chandler), starts to realise what is going on. He knows that Carol has had at least one previous dalliance with a woman and so isn’t too shocked, but he does start to question Carol’s fitness to be a mother and petitions the court for full custody of their child, with his wife not even allowed visits. 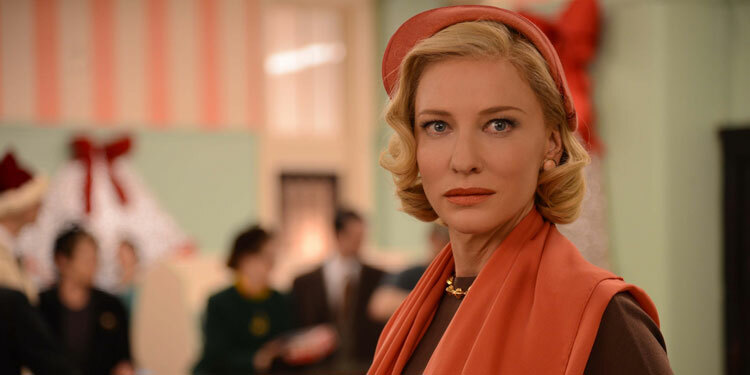 Carol finds herself trapped between her love for her child, the stifling attitudes of 1950s society and the possibility of finally being able to live authentically with Therese. After its Cannes debut last year, you could have been forgiven for thinking it was all but a formality that the film would be given the Best Picture Oscar and Cate Blanchett would get Best Actress. However, by the time of the actual ceremony the momentum had been lost and it ending up winning nothing (although it did score a healthy six nominations). It is a shame as it’s a great film, which manages to mix emotion, empathy, anger and charm into something that on the surface often seems quiet and understated – but with explosive moments. To console it though, while it may not have any Oscars, only a few months after it was released the BFI Flare London LGBT Film Festival last week revealed it has been voted the best LGBT-themed film of all time. 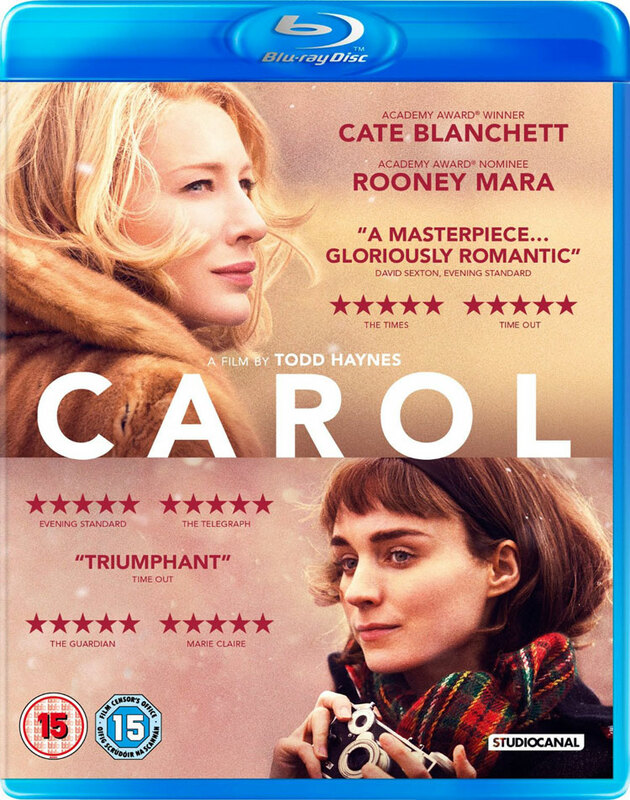 As many people have said, one of Carol’s greatest strengths is that it is not a ‘gay’ film. While both Carol and Therese face issues due to society’s issues towards lesbianism, the central spine of the movie is two human beings finding love with one another, irrespective of the gender. There’s even a scene which makes it clear that Therese hadn’t really considered being with a woman before, but in her head can’t see why it’s that different to being with a man, except that society says it is. For most of the first half, the genders of the two protagonists don’t really matter, with the film instead concentrating on the sweet uncertainties of the beginnings of a relationship. It does this with unusual insight – it’s weird so few movies have ever managed to make the early parts of a relationship feel genuinely real – with the two women feeling each other out, flirting in a way where each seems to be testing out the boundaries and, most noticeably, with a long series of glances and smiles. It skilfully shows us something that feels familiar from our own experience but which is rarely shown with such subtlety and emotional honesty on screen. It ensures that when the pressures of life and society eventually touch Carol and Therese, the viewer is already fully involved and feels for them, not just because of our modern pro-gay sensibilities but because we’ve seen a love blossom that deserves to survive. Todd Haynes deal with everything deftly and, as he’s shown before, with a real empathy and interest in women and depicting them on their own terms, and not just how they are seen by men. He also helps ensures this is a beautifully intricate depiction of the 1950s. I can’t think of many other movies where it doesn’t look like they recreated the era it’s set during, but where you could believe you’re actually looking at that era. It does that not just with the sets and costumes, but with Haynes’ choice to shoot much of it on 16mm film. On the acting front much of the focus has been on Cate Blanchett, but she’s matched by Rooney Mara who in many respects has a more difficult job of making a quiet character fully formed, interesting and empathetic. It is a charming and genuinely romantic movie that deserves to be seen. That said, some will find it slow going and perhaps a little too understated for their tastes. It’s a film that relies of the audience trying to look into the soul of the characters. If you do that it’s extremely rewarding, but the film’s not going to do all the work for you. Hopefully Carol will also get a few more people to read Patricia Highsmith’s seminal novel, The Price Of Salt, which the movie is based on. Overall Verdict: Brilliant cinematography, great acting, a smart script and the deft, empathetic touch of director Todd Haynes ensure this is an uncommonly romantic and charming film.